Quebec City Walking Tour: Meet a Local! 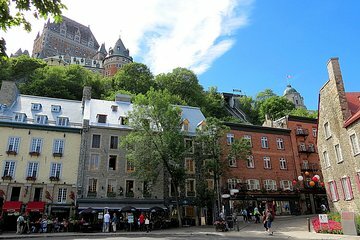 With so much history to explore in Old Quebec (Vieux Quebec), it’s easy to miss out on the people, traditions, and quirky customs that made modern-day Quebec so fascinating. Join a local guide for a small-group walking tour of Old Quebec that combines historic landmarks with an introduction to Quebec culture, from only-in-Quebec expressions to a beloved local drink.